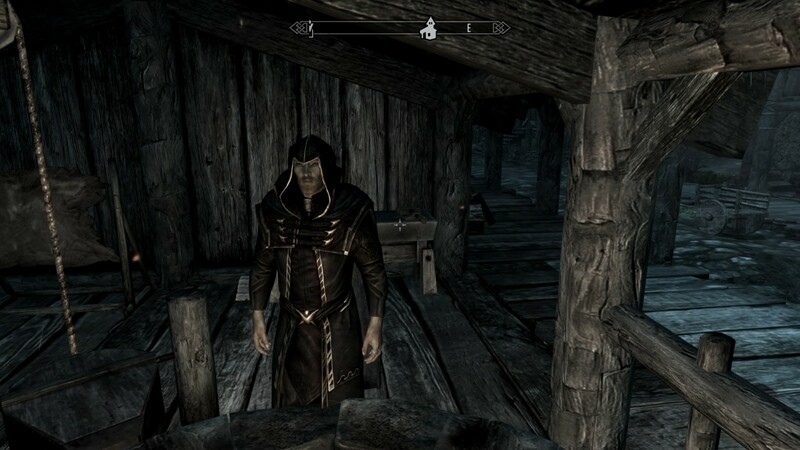 well as providing a means to acquire just the Thalmor hood. 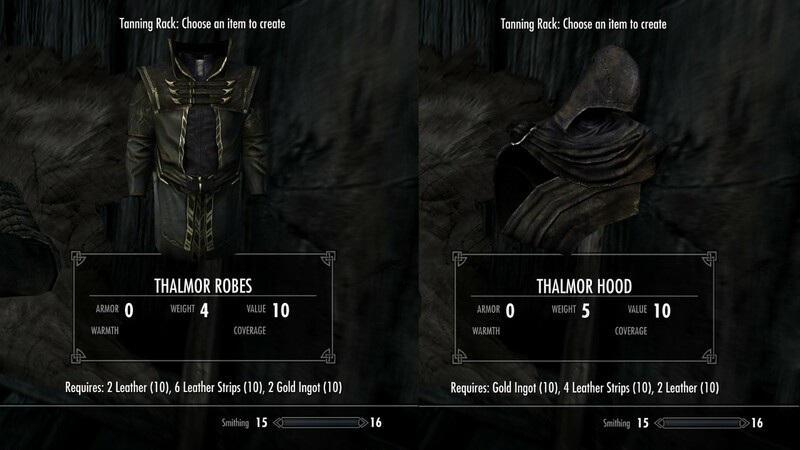 That's right, you can now have a separate Thalmor hood and robes! Both unenchanted! or features. This is just a pure simple crafting mod. Leather Strips. That is pretty much it. 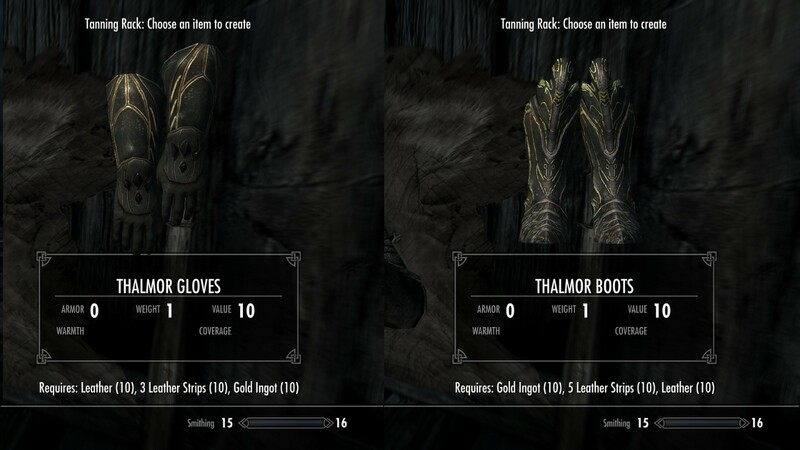 Thalmor Boots, Thalmor Robes, Thalmor Gloves, Thalmor Hood. Where can I craft them? Each item requires various amounts of Gold ingots, Leather and Leather Strips. The Elven Smithing Perk is also required. Why do I need the Elven Smithing Perk? I just didn't want to hand the ability to craft Elven Robes to just any commoner. It did not make sense to have a separated hood and robe only for you to crate a hood variety. All the items are unenchanted? 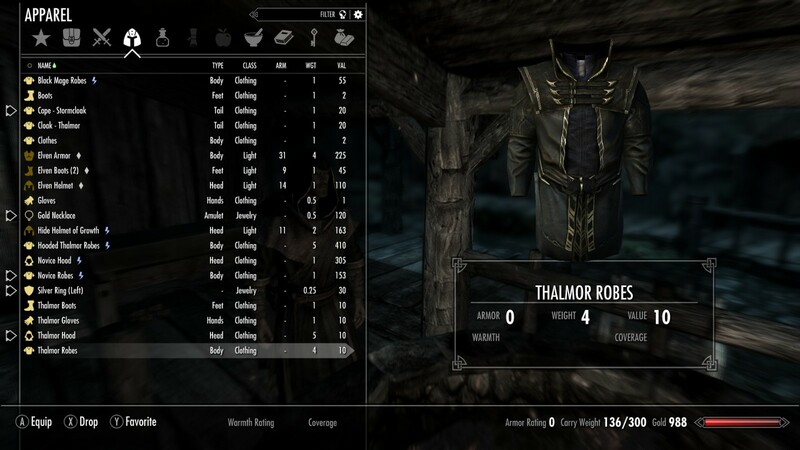 Does it affect the default Thalmor Clothing? No. That still remains as it was. Can I obtain the Hood without crafting it? No. Crafting it is the only way. Unless you use a console command. Which I am not going to supply. Will you make it so other clothing/hoods can be crafted? No. That is not the scope of this mod. Simple = Better. Are the Thalmor the superior beings? That's because you're not a Thalmor.